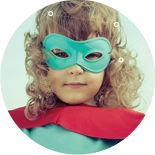 Be The Office Hero Superpower Your I.T. We help superpower your I.T. "We are very happy with the service that Northern Star provides and enjoy having Justin our account manager on Site. We don't seem to face many problems because of his regular visits." We are consultancy, management and IT support in NYC company with offices in New York and London. We have a commitment to providing you with the best service, advice and value for money. And our clients tell us we have a fantastic track record in doing so. From IT support to office moves to compliance we look after your IT infrastructure to the highest level. And because of our unique Account Management Methodology, you have a partner you can trust to make sure your technology works for you. We specialize in working with businesses from 5 – 250 seats who really want to do more with the resources they have. We are exceptional in providing support to companies with both a UK and US presence in cities across NYC, London and beyond. Can my business save time and money with Northern Star? Absolutely. If at any time you were wondering “Why am I spending my time trying to solve this technology issue when I should be working on my business?” Northern Star’s IT services can help you. And even if you just think that your current team should be performing better, give us a call and we’d be happy to talk with you about how we can help.